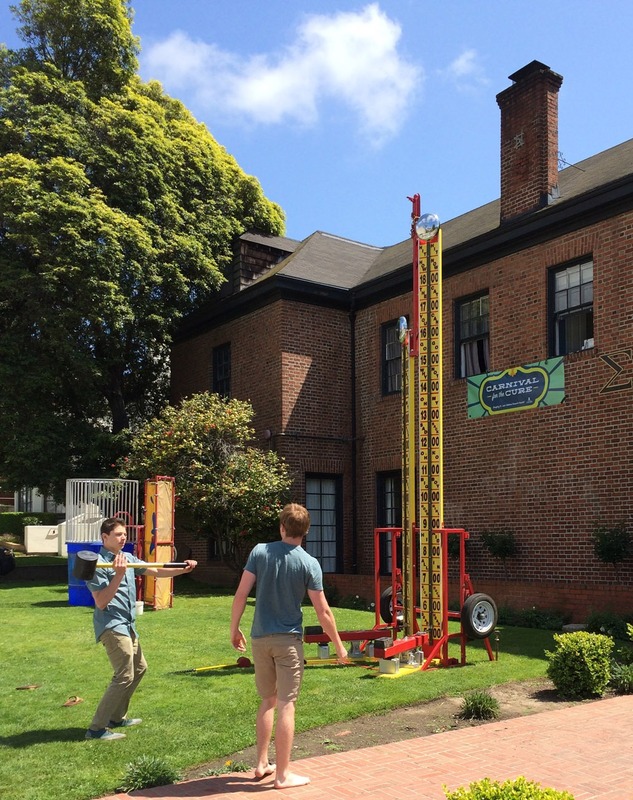 Just like the carnival attraction at your local county fair or theme park. 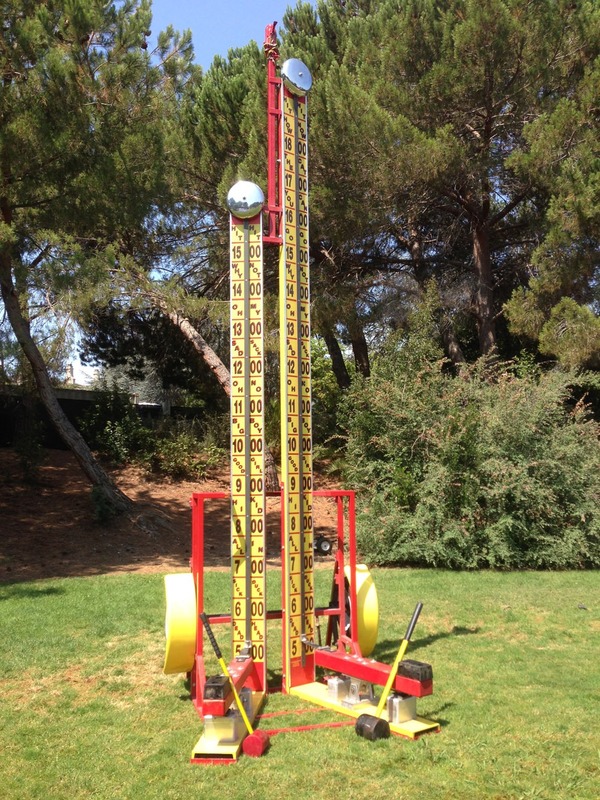 We are offering our twin tower 2 Person Hi Striker Carnival Game. 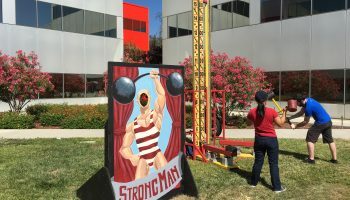 This amazing strong man 2 Person Hi Striker Carnival Game is a perfect item to rent for your next carnival themed party. 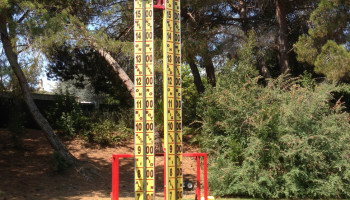 This has two different size towers (17ft & 14ft) to test out your strength. 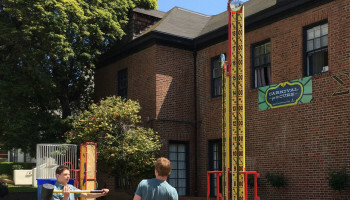 Swing the oversized mallet and try to ring the bell. Easier said than done. This has been a huge hit for company and family gatherings. You will be amazed at the competition this will attract on who can ring the bell. 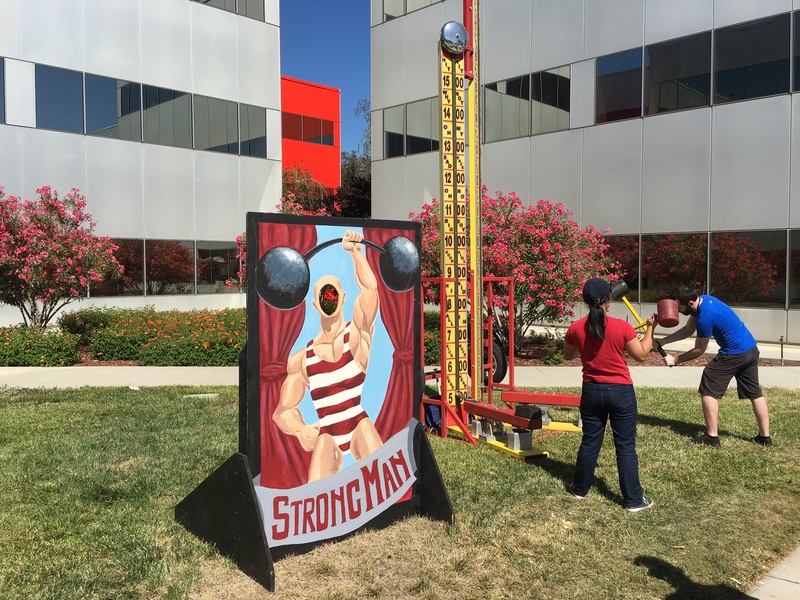 We can also provide prizes to give out to your guests for the winner of the2 Person Hi Striker Carnival Game Contest.